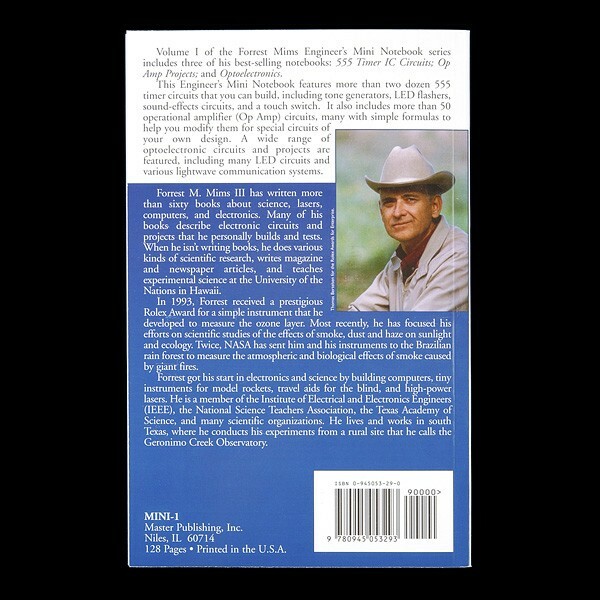 Description: Forrest M. Mims III has written more than sixty books about science, lasers, computers, and electronics. In 1993, He received a prestigious Rolex Award for a simple instrument that he developed to measure the ozone layer. He is a member of the Institute of Electrical and Electronics Engineers (IEEE), the National Science Teachers Association, the Texas Academy of Science and many scientific organizations. 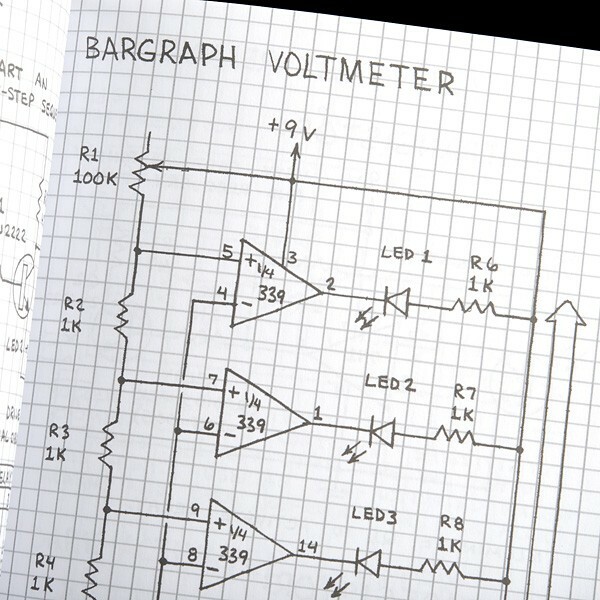 When this guy put together a set of electronics reference books, we were excited to get them. The Engineer's Mini Notebook series is a set of four handbooks that lay out, in plain language, the foundation of electrical and electronic knowledge. Our engineer's here at SparkFun cited several things in these books that they remembered learning in school, stuff that turned out being really useful. 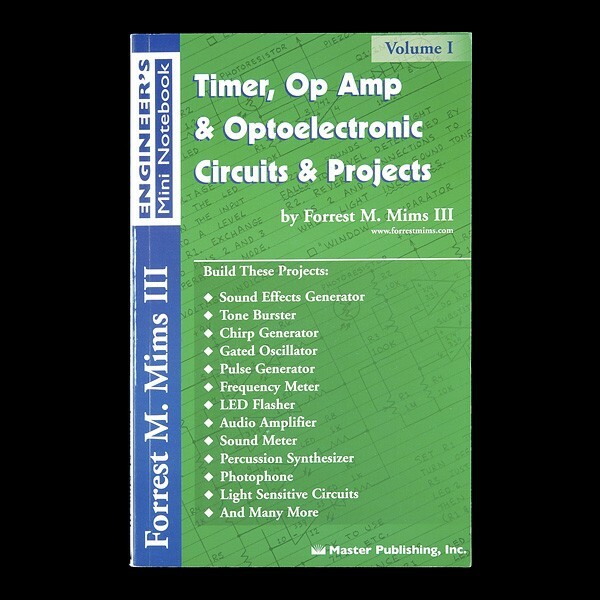 Timer, OpAmp Optoelectronic Circuits Projects features more than two dozen 555 timer circuits that you can build, including tone generators, LED flashers, sound-effects circuits, and a touch switch. 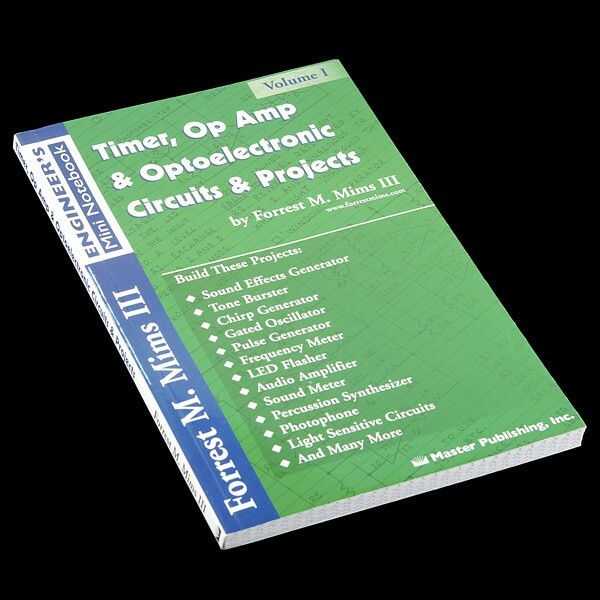 It also includes more than 50 operation amplifier (Op Amp) circuits, many with simple formulas to help you modify them for special circuits of your own design. A wide range of optoelectronic circuits and projects are featured, including many LED circuits and various lightwave communication systems.